RISK66®'s Loss Forecaster provides powerful actuarial computations. It includes a complete database of loss development and trending data and produces a detailed report of the steps in the analysis. Want to see more? Email us at support@SIGMAactuary.com. 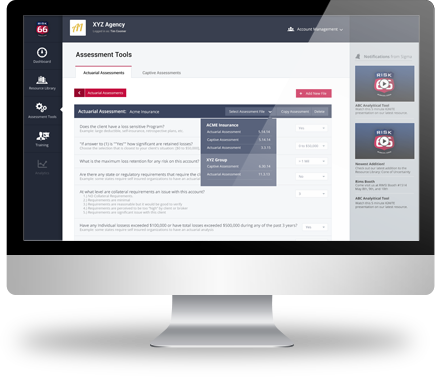 RISK66®'s Assessment Tools provide structure to previously subjective decision-making processes. These tools are based on over 25 years of SIGMA Actuarial Consulting Group's experience and proprietary decision models. 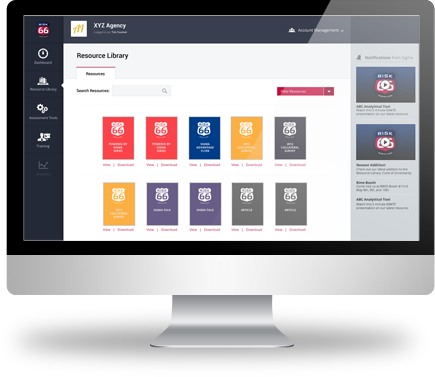 RISK66®'s Resource Library evolved from a wealth of material developed over the years by SIGMA Actuarial Consulting Group to support a broker's need to communicate about technical topics. Easy-to-read and often graphical in nature, these documents are perfect for sharing with your clients. 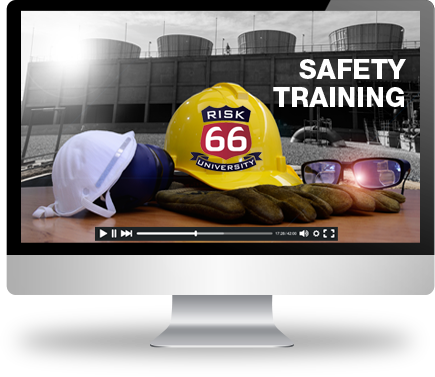 RISK66®'s Training Library is full of short, focused training videos that make complex topics easy to digest. Need to brush up on the topic of "loss development factors" before a client meeting? Watch our eleven minute video on the topic, and you will be prepared. 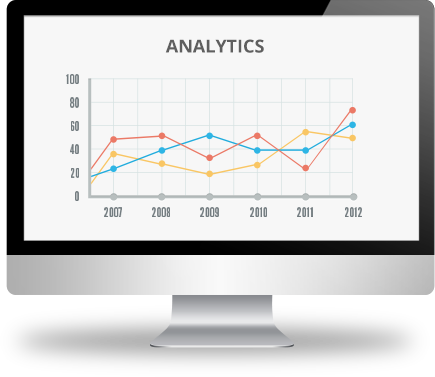 Analytics of loss run data is an important capability to have in today’s analytically-based, data-driven world. 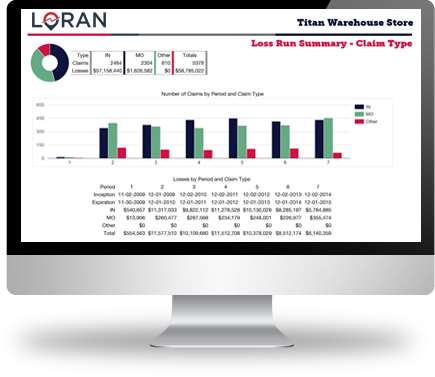 LORAN (LOss Run ANalytics) gives you the ability to import a worker's compensation loss run and quickly analyze it using multiple dimensions. 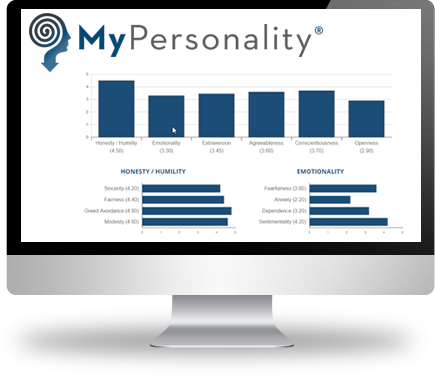 MyPersonality® is a unique personality model that provides a detailed analysis of personality along with a proprietary assessment of anticipated performance in a variety of situations including as a salesperson. Want to see more? Email Tim at TLC@SIGMAactuary.com. RISK66® University is an online safety training and learning management system that you can provide to your clients. Your clients look to you for solutions to their training needs. RISK66® University is an affordable and effective solution. Analytical tool to forecast losses and estimate required reserves for property and casualty losses. Straightforward questionnaires with decision tree analytics designed to provide guidance for your more subjective decision-making processes. Award winning educational and marketing content designed to help you differentiate and communicate. Short and concise training to help you master analytical risk management topics. Analytic tool to get the most out of your loss runs. Personality model to help you analyze a person's unique strengths and weaknesses. 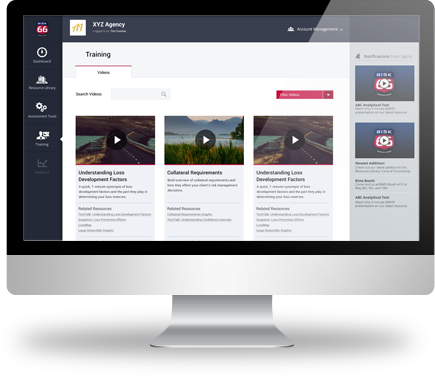 The most effective way to deliver a turn-key online safety training system to your clients. Easy to setup and no maintenance required. RISK66® is the product of SIGMA Actuarial Consulting Group. SIGMA has served the brokerage industry with analytical tools and services for over 25 years. As the use of analytics becomes an even bigger part of our industry, you need RISK66® to compete effectively. Click the “Get Started Now” button to register for a free subscription.